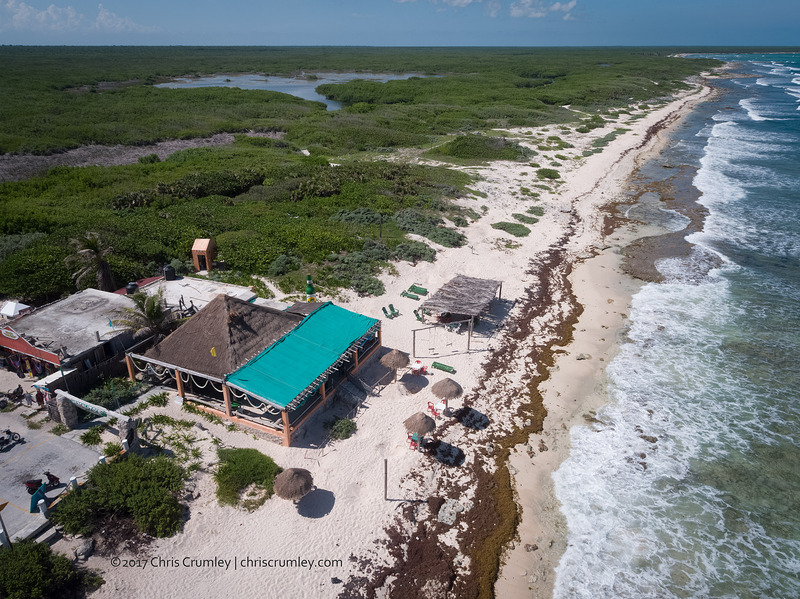 Not your typical view of Mescalido's Bar & Grill on the east side of Cozumel, but also have the typical shots. Now on to the mainland Yucatan Peninsula shooting a variety of things in cenotes with some very special creatives from San Francisco, Vancouver, San Jose, North Carolina and Virginia. Tech: About 100' AGL, DJI Inspire 2 X5S 12mm f2.0 -- with Ashley Soltis, Erin St Blaine, Malena Sharkey, Iara Mandyn, Robert Minnick, Susan Knight, Caroline Nelson, Emily Weston Hearne and FlyHighUSA.